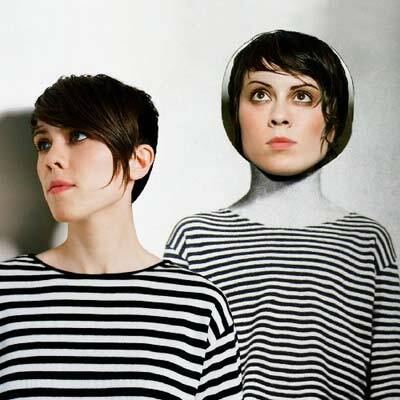 If 2007’s The Con was Tegan & Sara’s dive into adulthood, then Sainthood is the sound of the duo getting comfortable in their new sonic skin. While the album’s lyrical content is just as emotionally present and resonating as the pair’s past efforts, the dual-strumming-guitar motif gets seriously tweaked with here. Where the album-opening “Arrow” plays with garagey guitars and effects pedals, the soaring chorus and out-of-nowhere ending are all classic Tegan & Sara. Synth and industrial-tinged computer sounds sneak their way into the majority of Sainthood’s tracks, calling to mind everyone from The Police (“Northshore”) to Talk Talk (“Alligator”) to Yeah Yeah Yeahs (“Night Watch”) without ever sounding forced. What makes Sainthood‘s sonic leap work so well is the twins’ keen sense of knowing when enough is enough. We’ve come to the point where these two are not afraid to think outside the box they’ve constructed but smart enough not to stray too far from home.